Total laryngectomy is potentially a debilitative surgery resulting in compromise of some of the most basic functions of life including speech and swallowing. This may have a profound adverse effect on the patient's physical, functional, and emotional health, and may result in a decreased quality of life (QOL). Until the 1980s, total laryngectomy was regarded as a dreadful, but often, life-saving procedure for which there was little alternative, and was used as a last resort. At that time survival at any cost in terms of QOL was paramount and many laryngectomies were forced into an isolated life as a mute and dysphasic recluse. Most attempts at voice restoration produced inconsistent results and often techniques were laborious, expensive, and ineffective, particularly when carried out as a salvage procedure after failed radiotherapy. Progress in voice rehabilitation, following total laryngectomy, over the last 30 years, has made an enormous difference in the whole concept of the management of laryngeal cancers. Currently there are several options available for these patients, namely, esophageal speech, artificial larynx, and tracheoesophageal speech. The choice of speech rehabilitation varies from patient to patient, but tracheoesophageal voice has become the preferred method. This article provides a brief account of surgical voice restoration after total laryngectomy. Special emphasis has been given to the surgical technique, special considerations, complications, and the prevention / treatment of tracheoesophageal voice restoration. Despite significant improvements in the treatment and outcomes of patients with squamous cell carcinoma of the head and neck (SCCHN) that have resulted from technological advances in radiation delivery and the use of cytotoxic chemotherapy, there is still a pressing need for novel therapies. In the last two decades, our understanding of the molecular biological basis of cancer has provided us with a new framework for developing specific targeted therapies. 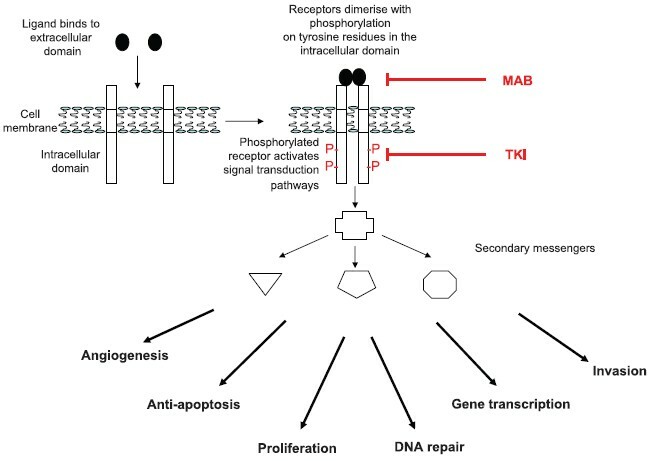 It is likely that the next wave of developments will include active small molecule inhibitors of epidermal growth factor receptor (EGFR) (and other members of the c-erbB family of receptors), antiangiogenic agents, and drugs that can increase proapoptotic signaling in cancer cells. As with cetuximab, it is most likely that these new agents will first find a niche in the context of combination regimens with standard anticancer therapeutics. 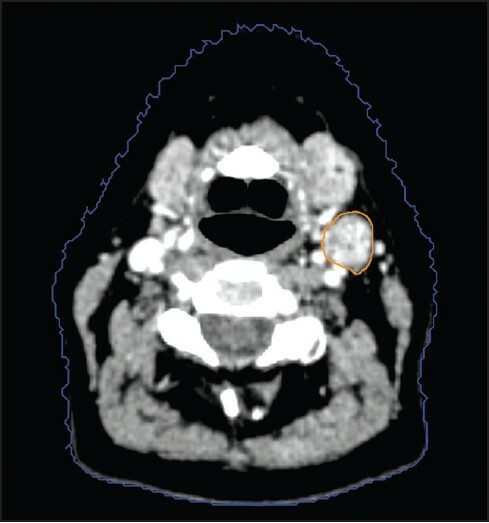 Radiotherapy forms one of the major treatment modalities for head and neck cancers (HNC), and precision radiotherapy techniques, such as intensity-modulated radiotherapy require accurate target delineation to ensure success of the treatment. 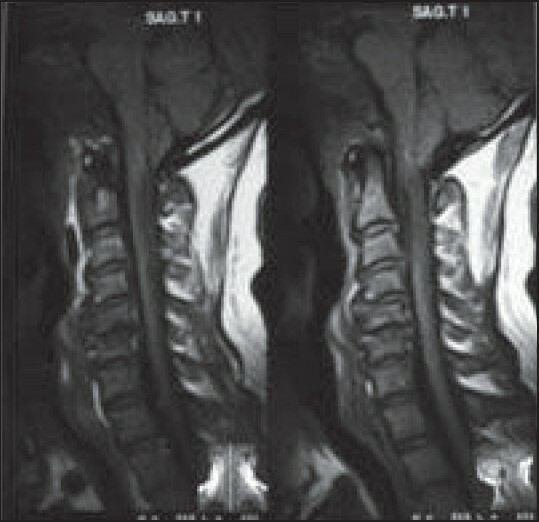 Conventionally used imaging modalities, such as X-ray computed tomography (CT) and magnetic resonance imaging are used to delineate the tumor. Imaging, such as positron emission tomography (PET)-CT, which combines the functional and anatomic modalities, is increasingly being used in the management of HNC. Currently, 18-fluorodeoxyglucose is the most commonly used radioisotope, which is accumulated in areas of high glucose uptake, such as the tumor tissue. Because most disease recurrences are within the high-dose radiotherapy volume, defining a biological target volume for radiotherapy boost is an attractive approach to improve the results. There are many challenges in employing the PET-CT for radiotherapy planning, such as patient positioning, target edge definition, and use of new PET tracers, which represent various functional properties, such as hypoxia, protein synthesis, and proliferation. The role of PET-CT for radiotherapy planning is ever expanding and more clinical data underlining the advantages and challenges in this approach are emerging. In this article, we review the current clinical evidence for the application of functional imaging to radiotherapy planning and discuss some of the current challenges and possible solutions that have been suggested to date. Intensity-modulated radiotherapy (IMRT) has been a significant technological advance in the field of radiotherapy in recent years. IMRT allows sparing of normal tissue while delivering radical radiation doses to the target volumes. The role of IMRT for parotid salivary gland sparing in head and neck cancer is well established. The utility of IMRT for pharyngeal constrictor muscle and cochlear sparing requires investigation in clinical trials. The current evidence supporting the use of IMRT in various head and neck subsites has been summarized. Sparing of organs at risk allows for dose-escalation to the target volumes, taking advantage of the steep dose-response relationship for squamous cell carcinomas to improve treatment outcomes in advanced head and neck cancers. However, dose-escalation could result in increased radiation toxicity (acute and late), which has to be studied in detail. 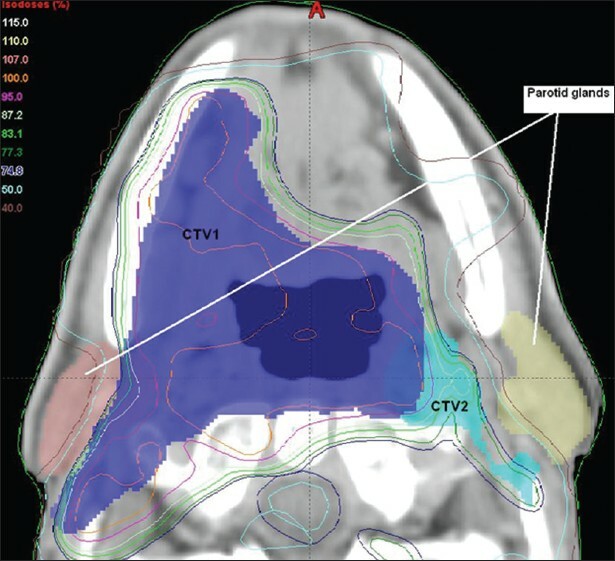 The future of IMRT in head and neck cancers lies in exploring the use of biological imaging for dose-escalation using targeted dose painting. Tissue engineering is an emerging field that has the potential to revolutionize the field of reconstructive surgery by providing off-the-shelf replacement products. The literature has become replete with tissue engineering studies, and the aim of this article is to review the contemporary application of tissue-engineered products. The use of tissue-engineered cartilage, bone and nerve in head and neck reconstruction is discussed. Aims: Various features have been described in the literature to differentiate benign from malignant lesions. The aim of the present study was to study the accuracy of each of these features and that of magnetic resonance imaging (MRI) in diagnosing malignant lesions. Materials and Methods: Fifty-five consecutive patients presenting with neoplastic (both benign and malignant) lesions diagnosed clinically and on ultrasound were studied and their MRI features were compared with the findings on surgical exploration and histopathologic examination. Results: There were 32 (58%) benign and 23 (42%) malignant masses. Malignant masses were more common in patients older than 20 years (83%), and these had symptoms of less than 6 months duration (75%), as against benign lesions. The swelling was painful in 8 malignant masses and these were more common in the upper limbs (61%). Various features of malignant lesions were size more than 5 cm in 83%, change in signal intensity from homogenous on T1-weighted images to heterogenous on T2-weighted images in 74%, irregular margins in 74%, and heterogenous contrast enhancement in 91%. The accuracy of these features was 76%, 58%, 78%, and 60%, respectively. Most benign and malignant lesions were intramuscular in location. A significant number (38%) of benign lesions were located in the intermuscular facial plane. Definitive diagnosis was made in 42% of the lesions. Conclusions: MRI is an excellent modality for evaluating soft tissue neoplasms; however, prediction of a specific diagnosis and differentiation of malignant and benign lesions is not always possible. Purpose: We have analyzed the changing trends in surgical treatment of renal tumors over the last 2 decades with regard to age incidence, presentation, incidental detection, and histopathology. Materials and Methods: Records of renal tumors were analyzed from January 1, 1988 to December 31, 2007. Data were split into 4 parts based on a 5-year time period, 1 for each cohort of patients: cohort 1 (1988-1992)-103 patients, cohort 2 (1993-1997)-161 patients, cohort 3 (1998-2002)-243 patients, and cohort 4 (2003-2007)-304 patients. 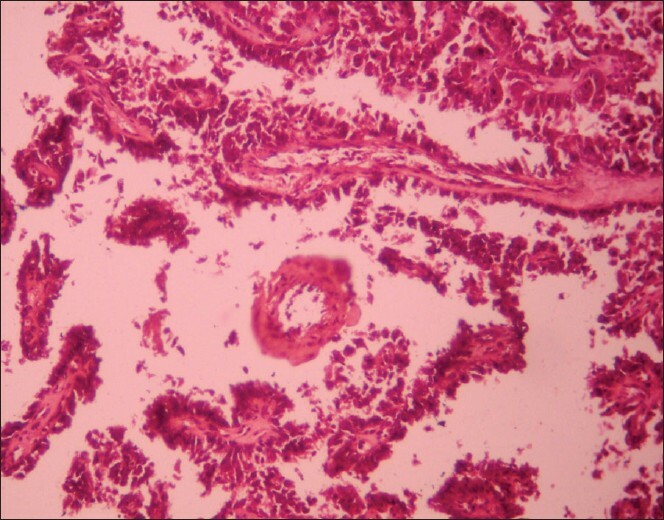 A comparative study was performed with regard to age incidence, presentation, incidentallomas, histopathology, and management with statistical analysis. Results: Out of 811 renal tumors, 17.63% cases were benign and 82.37% were malignant. In the first cohort, 34.95% cases were detected in the seventh decade as compared with cohort 4 in which these were detected in the sixth (34.86%) and fifth decades (21.38%). Incidentallomas increased from 11 (10.67%) in cohort 1 to 84 (27.63%) in cohort 4 (P = 0.001). The cases of surgically treated tumors increased in number from 103 to 304 in cohort 4. Among the presenting features, incidence of weight loss, flank pain, and lump decreased while other clinical syndromes were constant. Only open radical nephrectomy was performed in the first 2 consecutive timeperiods. Laparoscopic radical nephrectomy was increasingly used in cohort 4 as compared with cohort 3 (121 vs 32, respectively). Similarly, open nephron sparing surgery (NSS) was increasingly used in cohort 4 as compared with cohort 3. Among the histopathologies, clear cell carcinoma was most common (73.35 %), but Fuhrman grading showed a trend toward more cases detected with grade 1 and 2 in cohort 4; 23.73% and 61.86%, respectively, as compared with 15.85% and 45.12% in cohort 1 (P = 0.001); more T1 tumors were detected (63.42% in cohort 4 as compared with 41.46% in cohort 1). Conclusions: A majority of renal tumors presented as symptomatic tumors. Recently, tumors are being detected at an early stage and grade; in the younger patients, with an increasing trend of laparoscopic and open NSS. Background: Testicular tumors in the pediatric population are distinct from those of the adults. In contrast to the prevalence data reported in tumor registries, several studies have shown that a majority of the prepubertal testis tumors are benign. 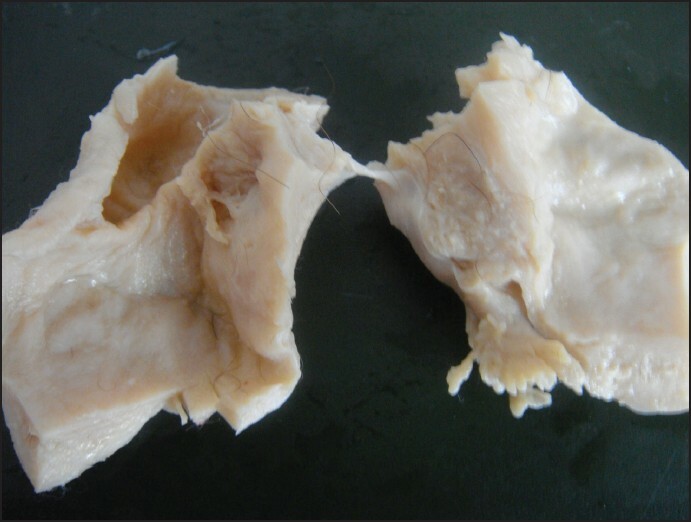 We retrospectively analyzed a series of prepubertal testicular tumors. Materials and Methods: A retrospective review of all testicular tumors at our institution was done from Jan 1999 to Dec 2008. Data relating to presentation, evaluation, and management were collected. Results: A total of 22 children with prepubertal testicular tumors were identified. The mean age at presentation was 4.6 years. 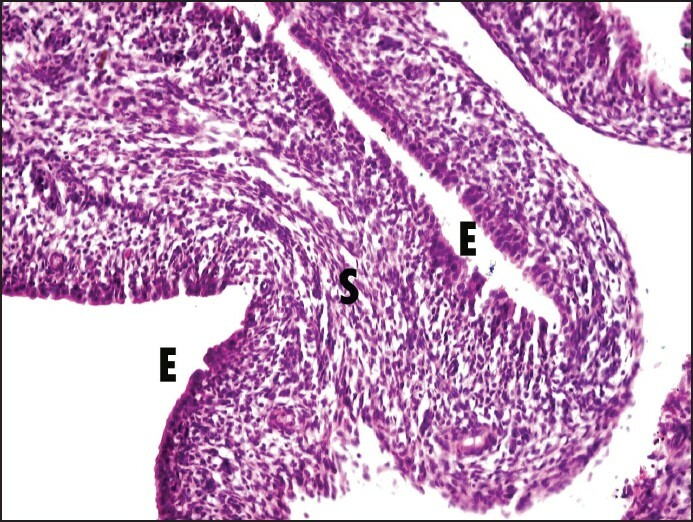 Mature teratoma, epidermoid cysts, immature teratoma, and yolk sac tumor accounted for 49.94%, 13.62%, 9.08%, and 18.16%, respectively. All surgeries were successful with respect to cancer control and testicular preservation. Conclusions: Benign tumors formed the majority (72.64%) of the tumors that were encountered, with yolk sac tumors (18.16%) being a minority. Testicular preserving surgery appears to be a feasible option for benign tumors and is safe and efficacious in long-term follow-up. Background: Breast cancer is the most common cancer in urban India, but no study has been carried out on psychosocial disorders in breast cancer patients. Aims: The present study has been undertaken to evaluate behavioural and psychosocial impacts before and after treatment of women with breast cancer. Settings and Design: The study was carried out in a reputed hospital in Delhi. 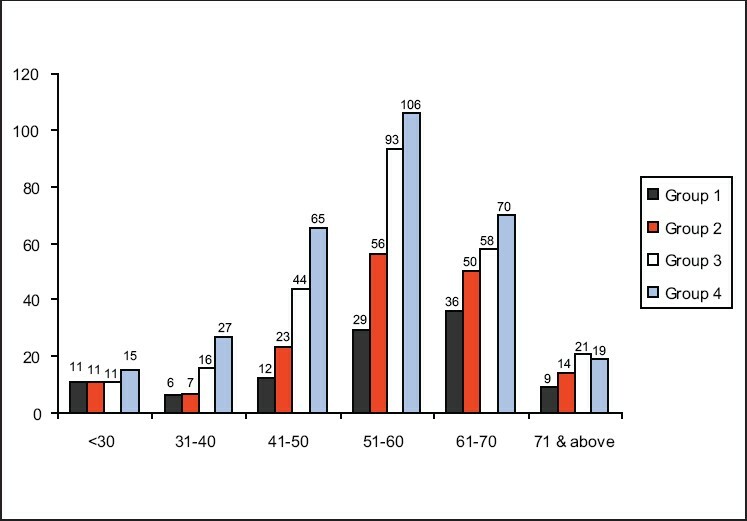 Patients and Methods: A total of 97 breast cancer patients matched for age and economic status were divided into group A (66) and group B (31) on the basis of treatment modalities offered to the patient. These women were interviewed, before and after the treatment, and the observations were recorded in a pre-tested structured questionnaire. Statistical Analysis: Chi-square test and Fisher's exact test were used to calculate statistical significance. Results: Although the extent of sociobehavioral disorders were higher in patients on postoperative adjuvant chemotherapy and radiotherapy when compared with those on postoperative adjuvant chemotherapy alone, the difference was, however, not statistically significant. Psychological reactions were observed in 31% of patients but after intervention, 65% showed adjustment within 4 to 12 weeks, whereas the rest showed late adjustments. Conclusions: Breast disfigurement and sexuality were found to be least important, but psychological and social support appears to significantly influence the treatment outcome and rehabilitation of breast cancer patients in India. Background: Specific criteria are used to diagnose thyroid neoplasms; however, the distinction between certain neoplasms, such as follicular adenoma and carcinoma, could be difficult. Thus, additional diagnostic features that can assist in this distinction would have great clinical usefulness. Aims: To evaluate the role of the proliferative marker Ki-67 in nonneoplastic and neoplastic lesions of the thyroid, with a special emphasis on the distinction between follicular adenoma and follicular carcinoma. Settings and Design: A retrospective study from a tertiary care center. 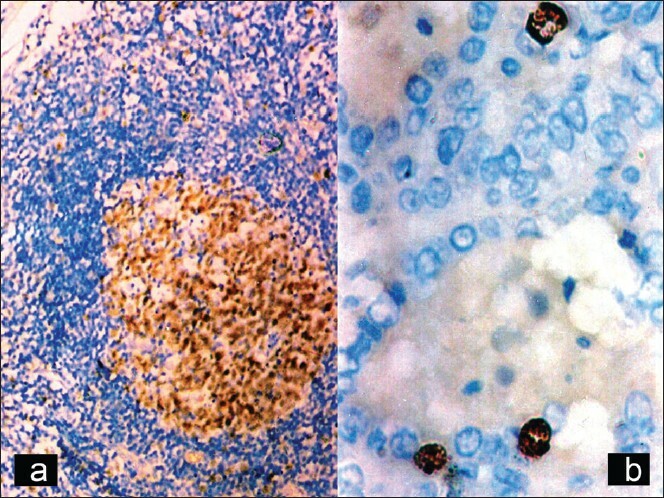 Materials and Methods: One hundred cases of thyroid lesions, including 50 nonneoplastic and 50 neoplastic lesions, were retrieved from the archives of the Department of Pathology, Pt. BD Sharma PGIMS, Rohtak, Ki-67 immunostaining was performed by peroxidase-antiperoxidase method and compared with mitotic counts. Results: Ki-67 labeling index (LI) showed a progressive rise from multinodular goiter to benign to malignant neoplasms. A statistically significant difference was observed in Ki-67 counts between multinodular goiter vs papillary carcinoma (P < 0.05) and follicular adenoma vs follicular carcinoma (P < 0.05). The correlation between mitotic counts and Ki-67 LI was found to be significant. Conclusions: In the present study, Ki-67 was found to be useful in differentiating between follicular adenoma and follicular carcinoma, but since the sample size of our study was small, larger studies are needed to confirm this observation as well as to assign a cutoff value for differentiating benign from malignant tumors. 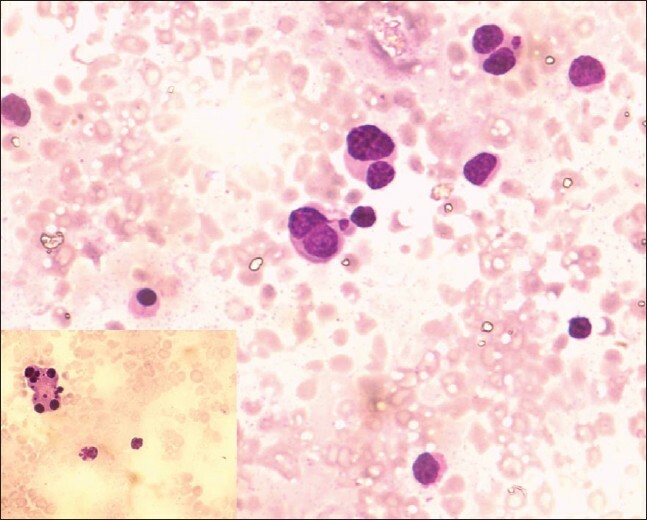 Background: Colposcopic evaluation and guided biopsy is an important diagnostic step and standard of management for abnormal cytology smears in developed countries. Aim: The present study evaluates the performance of colposcopy vs conventional cytology in estimating the presence and grade of cervical disease against the reference standard of histopathology as a secondary test modality to triage women found positive on primary screening by visual inspection with 5% acetic acid (VIA). Settings and Design: Colposcopy and directed biopsy were performed after primary screening for cervical cancer in an urban hospital cancer screening clinic between January 2000 and June 2005, in Mumbai, India. Materials and Methods: Healthy women (8863) in the age group of 35-65 years participated in the cervical cancer early detection program in the hospital and community cancer screening clinics in Mumbai. Women found positive on the primary screening test by VIA underwent diagnostic evaluation by Pap smear cytology and colposcopy evaluation with directed biopsies. Statistical Analysis: Accuracy parameters and their 95% confidence intervals were calculated using 2 Χ 2 tables and standard formulae. Results: The test range of sensitivity of colposcopy for the detection of histologically confirmed cervical intraepithelial neoplasia grade 1+ (CIN1+) or CIN2+ was 58.0-74.7% and that of specificity was 57.5-92.9%. The sensitivity and specificity of cytology to detect CIN2+ was 57.4% and 99.4%, respectively. Conclusion: Colposcopy is a good sensitive test for the detection of CIN and can be considered as a secondary testing tool to triage women found positive on VIA. Background: The cornerstones of successful treatment of hepatoblastoma (HB) include preoperative chemotherapy followed by complete anatomical resection of tumor, followed by chemotherapy. Advances in chemotherapy in the last 2 decades have been associated with a higher rate of tumor response and possibly a greater potential for resectability. Aims: We analyzed our single center experience with neoadjuvant chemotherapy (NACT) and surgery in HBs. Settings and Design: Our study included all children with HBs who received NACT and underwent surgical excision from January 1997 to July 2004. Materials and Methods: Patient characteristics, clinical features, clinical course, treatment modalities, and long-term outcome were analyzed. Results: There were 9 boys and 3 girls, aged 5-60 months (median age at tumor diagnosis was 24 months). All received NACT containing cisplatin and doxorubicin. Of the 12 children, 9 underwent hepatectomy and among them, 4 patients each had right and left hepatectomy and 1 patient underwent right extended hepatectomy. After surgery, all patients completed rest of the chemotherapy course (total 6 cycles). R0 resection was carried out in all the 9 cases with no life-threatening complications. Conclusions: Our experience of the 9 cases, although less in number, reaffirms the advantages of NACT followed by surgery. The prognosis for patients with resectable tumors is fairly good in combination with chemotherapy. Background: The allele frequency of the multidrug resistance 1 (MDR1) gene C3435T polymorphism differs with different ethnic populations, such as Asian, African, and Caucasian. This polymorphism has been reported to be associated with the increase of gastric cancer. Objectives: The objective of this study was to find out the association of gastric cancer incidence with MDR1 gene polymorphism in an ethnic Iranian population. Materials and Methods: In this study, 48 gastric cancer patients were diagnosed. Genomic DNA was extracted by a salting-out method. 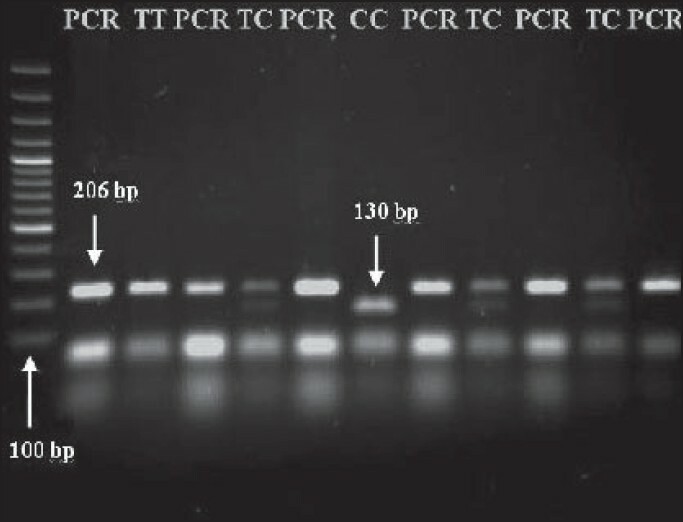 The MDR1 polymorphism was studied by a polymerase chain reaction (PCR)-restriction fragment length polymorphism method, using a standard method. Results: The polymorphic homozygote (T/T) genotype showed significantly an association with the incidence of gastric cancer compared with controls (P < 0.05). Conclusions: This study suggests that C3435T polymorphism of the MDR1 gene may be associated with gastric cancer in an ethnic Iranian population. Background: Ovarian cancer is one of the most common gynecologic malignancies. The present study was designed to compare age-standardized incidence rate (ASR) of ovarian cancer in Iran with that in Australia and some other developed countries. Materials and Methods: Data from the Cancer Registry Program of Iran, as a base, were compared with the cancer registry reports of surveillance, epidemiology and end results program in the USA, considering the population of the USA in the year 2000 as the standard population. 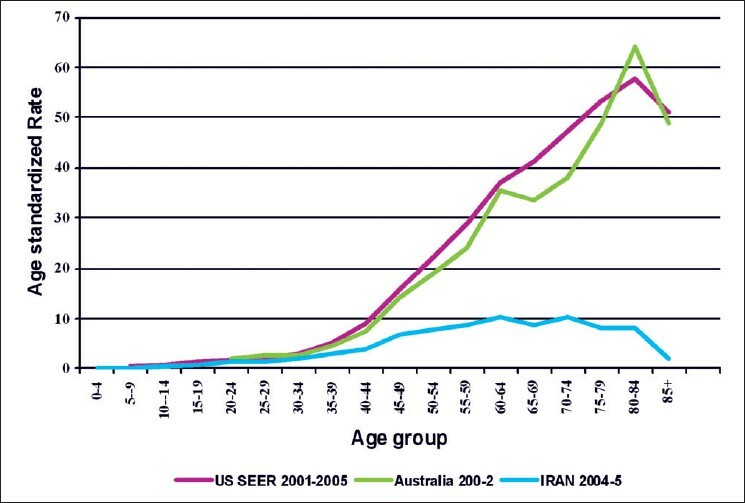 Results: In all the age groups, ASR of ovarian cancer was much lower in Iran. Overall rates of ovarian cancer in Iran and the USA were 3.9 and 16.2 per 100,000, respectively. Conclusion: Age-standardized ovarian cancer rate in Iran was much lower in comparison with high incidence areas in the world. Encouraging oral contraceptive use and reduction in fat intake may be effective in decreasing the rate of ovarian cancer or keeping its rate constant in Iran. Context: The pattern of nodal spread in oral cancers is largely predictable and treatment of neck can be tailored with this knowledge. Most studies available on the pattern are from the western world and for early cancers of the tongue and floor of the mouth. Aims: The present study was aimed to evaluate the prevalence and pattern of nodal metastasis in patients with pathologic T4 (pT4) buccal/alveolar cancers. Settings and Design: Medical records of the patients with pT4 primary buccal and alveolar squamous cell carcinomas treated by single-stage resection of primary tumor and neck dissection at Gujarat Cancer and Research Institute (GCRI), Ahmedabad, a regional cancer center in India, during September 2004 to August 2006, were analyzed for nodal involvement. Materials and Methods: The study included 127 patients with pT4 buccal/alveolar cancer. Data pertaining to clinical nodal status, histologic grade, pT and pN status (TNM classification of malignant tumors, UICC, 6th edition, 2002), total number of nodes removed, and those involved by tumor, and levels of nodal involvement were recorded. Statistical analysis was performed using the Chi-square test. 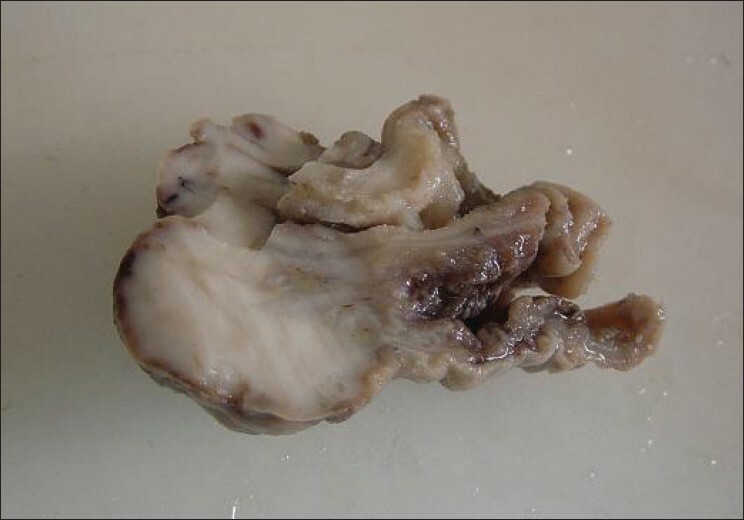 Results: Fifty percent of the patients did not have nodal metastasis on final histopathology. Occult metastasis rate was 23%. All of these occurred in levels I to III. Among those with clinically palpable nodes, level V involvement was seen only in 4% of the patients with pT4 buccal cancer and 3% of the patients with alveolar cancer. Conclusions: Elective treatment of the neck in the form of selective neck dissection of levels I to III is needed for T4 cancers of gingivobuccal complex due to a high rate of occult metastasis. Selected patients with clinically involved nodes could be well served by a selective neck dissection incorporating levels I to III or IV. Background: Sparse data from India are available regarding the outcome of prostate cancer treatment. We report our experience in treating prostate cancer with radiotherapy (RT). Materials and Methods: This study included 159 men with locally advanced cancer treated with RT with or without hormone therapy between 1984 and 2004. The median RT dose was 70 Gy over 35 fractions. Eighty-five patients received whole pelvic RT and prostate boost, and 74 patients were treated with 3-dimensional conformal radiotherapy (3DCRT) to prostate and seminal vesicles alone. 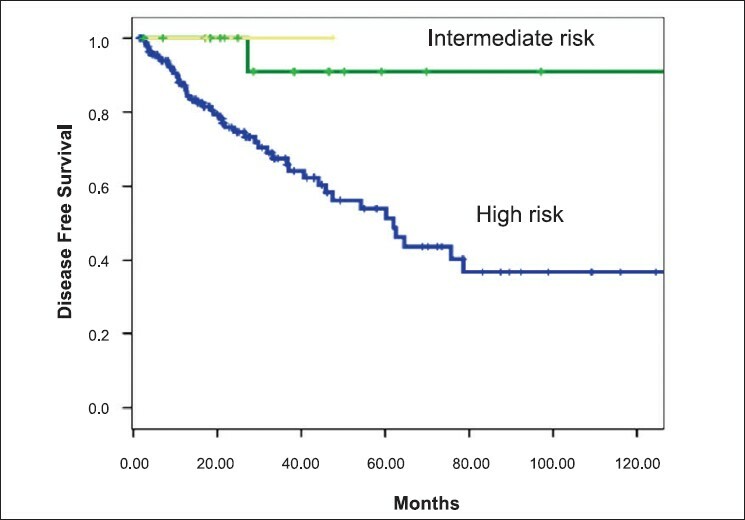 Results: The median follow-up was 25 months and the freedom from biochemical failure for all the patients at 5 years was 76%, disease-free survival (DFS) 59.1%, and overall survival (OAS) was 70.1%. The risk stratification (91% vs 52%, P < 0.03) and RT dose (72.8% for dose > 66 Gy vs 43.5% for dose < 66 Gy; P = 0.01) affected the DFS. DFS at 5 years was better in the group receiving 3DCRT to prostate and seminal vesicles (78% vs 51.5%; P = 0.001) and was reflected in OAS as well (P = 0.01). Conclusion: CRT technique with dose escalation results in significant benefit in DFS and OAS in locally advanced prostate cancer. For the prevention of many diseases, vaccination is considered to be a good method. At present, a number of vaccines are available. The concept of vaccination for oncology patients as a tertiary prevention protocol was introduced recently. A literature review on this topic was performed. For reviewing, the author used the electronic search for the keyword "vaccine" and "cancer" on PubMed for inclusion of the previously published articles and further search of reference papers on vaccines as tools for tertiary prevention in oncology patients was done. In this article, the important vaccines for oncology patients are briefly discussed. There are many interesting vaccinations that are useful for tertiary prevention in oncology patients.